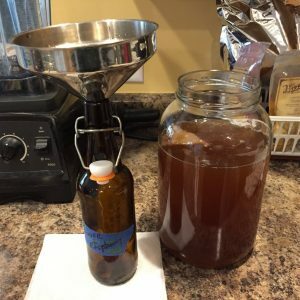 Jerri at Homesteader Supply suggested I write something related to kombucha so here is something useful that we can all benefit from. How many of you keep your empty GT kombucha bottles for your own kombucha bottling needs? 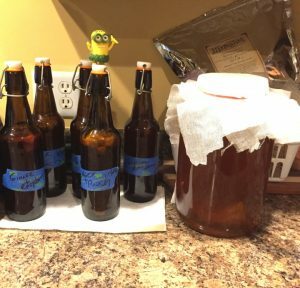 Is it a good idea to reuse GT kombucha bottles? The answer is yes and no…. Yes if you use GT caps and no if you switch to generic caps when the seal on the GT caps wear out (after about 2-4 batches). Understand that GT kombucha bottles and caps are 100% proprietary as noted by the GT kombucha stamping on the underside of the bottle. In short, like several of the big commercial kombucha companies, GT’s has a bottle engineer design a mold to very specific specs mandated by GT’s. The mold is built by a bottle manufacturer in China and the manufacturer who builds and owns the GT mold (GT does not own its own mold) uses it whenever GT’s places an order usually for 500,000 bottles per order. Once the order is placed, the bottles are created and shipped in a container from China to GT’s massive distribution center in California. You may ask why does GT’s kombucha go through the hassle of proprietary bottles? The short answer is so you don’t reuse its bottles. The Glass Packaging Institute (GPI) is responsible for establishing uniform standards for glass neck finishes. All of the 38/400 replacement caps you purchase for your GT bottles are certified GPI; however, a proprietary bottle does have to be manufactured under GPI standards. Even though a 38/400 (neck diameter of 38mm and fits a bottle with a 400 GPI thread finish) after market GPI certified cap fits perfectly on a GT Dave proprietary bottle it does not mean it will provide a perfect seal crucial to maintaining kombucha natural carbonation during the curing period. In fact, a GPI 38/400 cap may seem to fit perfectly on a GT cap but it truthfully does not create a good seal because the diameter on a GT bottle is actually a tiny bit smaller than the standard GPI 38/400 bottle. Therefore, a GPI 38/400 cap actually has a tiny bit larger neck diameter so when you use an after market 38/400 GPI cap, it is slightly larger that GT’s so carbonation will seep out during curing time and within a few days your kombucha will be totally flat never able to cure properly making all your hard work a lost effort which is what GT wants. GT’s knows this and that is one reason why they have proprietary bottles. They would rather waste resources and landfill real estate than have you reuse its bottles. 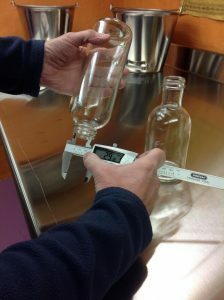 See two attached pictures – one measuring the inside diameter of a GT kombucha bottle @ 29.18 and the other measuring the inside diameter of a GPI 38/400 standard bottle @ 30.09. Notice the GPI certified 38/400 bottle is slightly larger in diameter than the GT proprietary bottle. When your GT caps wear out and you use GPI 38/400 caps that are designed for a 30.09 neck they are too large for a GT Dave 29.18 neck so carbonation will leak out quite quickly. You may say the difference is not material but it is material….try sticking a pin through the sidewall of your tire. Now you have a slow leak and within a short amount of time your tire will be flat. My advice is to avoid GT kombucha bottles and to purchase your own bottles certified GPI. A good place to purchase your own bottles is Filmore Bottle in PA, Burch Bottle in NY or SKS Packaging. You will have a peace of mind that whatever cap type you use, it will be designed for your bottle ensuring your carbonation stays intact. I welcome your comments. Click here to get Kombucha supplies! Want to buy Ron’s Kombucha? Contact him on his facebook page! 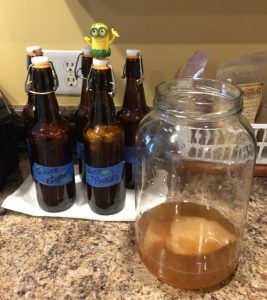 This entry was posted in Kombucha, Kombucha with Ron Chapdelaine and tagged fermentation, kombucha on March 12, 2017 by Homesteader's Supply. What the Heck Is a SCOBY? Once you try your first bottle of store-bought kombucha, you’ll probably become a fan for life. No, wait…scratch that. If you’re anything like me, you’ll get hooked and become a die-hard kombucha addict! At $4 (or more) for a 16-ounce bottle, your habit is going to become more expensive than a latte fixation. And then, before long, you’re going to find yourself Googling “how to make your own kombucha at home,” just like I did. For the uninitiated, kombucha is a fermented beverage made from sugar, tea, and a living kombucha culture. Unflavored kombucha is both slightly acidic and slightly sweet. The longer you brew it, the less sweet it becomes because the kombucha culture continues to feed on the sugar in the tea and uses it up. 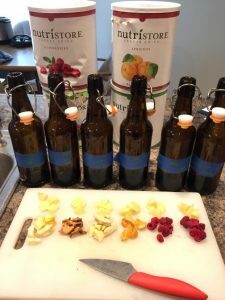 When brewing is complete, you can add ingredients like ginger, herbs, dried fruits, dried flowers, or extracts to flavor the drink to suit your personal preference. 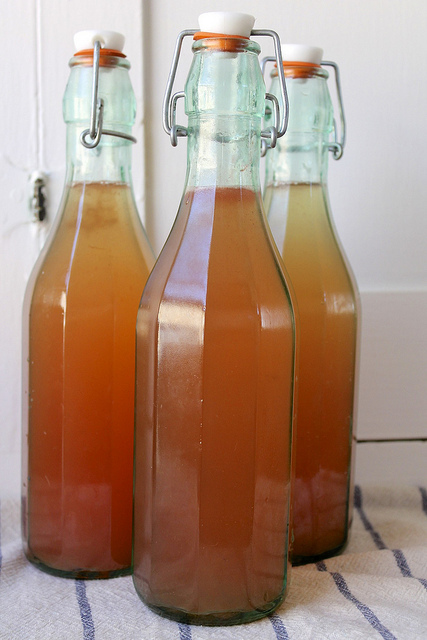 Fizzy and refreshing, kombucha makes a terrific substitute for commercial carbonated sodas. 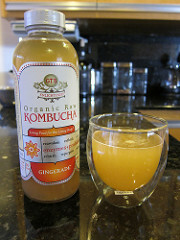 Kombucha detoxifies the liver and dramatically boots immune function. Like all fermented foods, it’s alkalizing and makes the body more resistant to degenerative diseases and cancers. Kombucha drinkers report a wide variety of health benefits, including improved digestion, weight loss, improved energy, and reduced stress. Many claim that itcures constipation, skin problems, and hangovers. Some people even notice that kombucha restores hair color and strengthens the hair. The wide variety of complaints relieved by Kombucha is almost not comprehensible. But it is explainable on the basis that Kombucha does not target a specific body organ but, rather, influences the entire organism positively by effecting a stabilization of the metabolic situation and the detoxifying effect of its glucuronic acid. In many, this leads to a heightened endogenic defense capacity against those toxic influences and environmental stresses which inundate us from many sides. The result is the invigoration of a damaged cellular metabolism, and the restoration and firming up of one’s well-being. 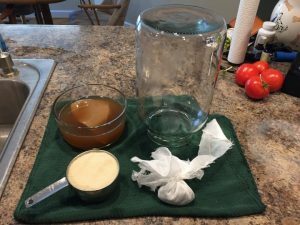 One of the first things you’ll discover is that the kombucha brewing process begins with a weird, slimy thing called a SCOBY. 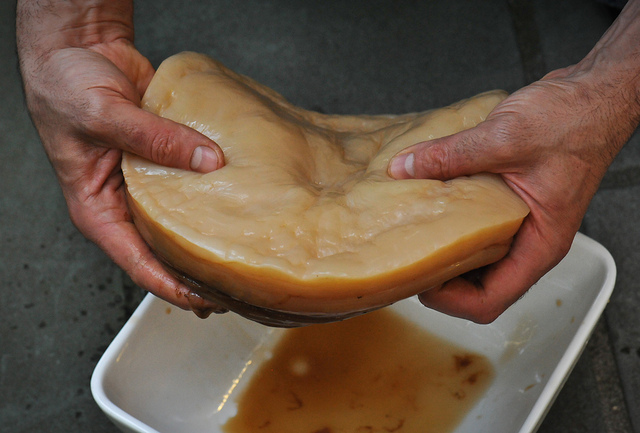 Remarkably, the SCOBY — which looks like a flat rubbery mushroom — is what gives kombucha its famous, health-promoting benefits.SCOBY stands for Symbiotic Culture of Bacteria and Yeast, and it’s the secret ingredient that turns sugar-sweetened tea into kombucha. All over the internet, you see kombucha brewers obsessing about their SCOBY. Is it healthy? Does it float? Does it sink? Does it stink? Does it have black spots? The list of things people worry about is practically endless. But, truthfully, there’s no need to worry if you start out with a top-notch SCOBY and follow the directions carefully. Our kombucha making supplies are of the highest quality, and we think our SCOBY is the best on the market. We get our freshly grown, organic SCOBYs from Kombucha Dave, and when you buy your kombucha products from us, you get a discount, plus all the instructions, videos, and support you need to brew your own kombucha for life. Then cover it, and let it sit in a clean, warm place like on your kitchen counter. In a few days, it’ll be ready to drink. Best of all, you’ll have an unlimited supply of kombucha for just pennies a bottle. 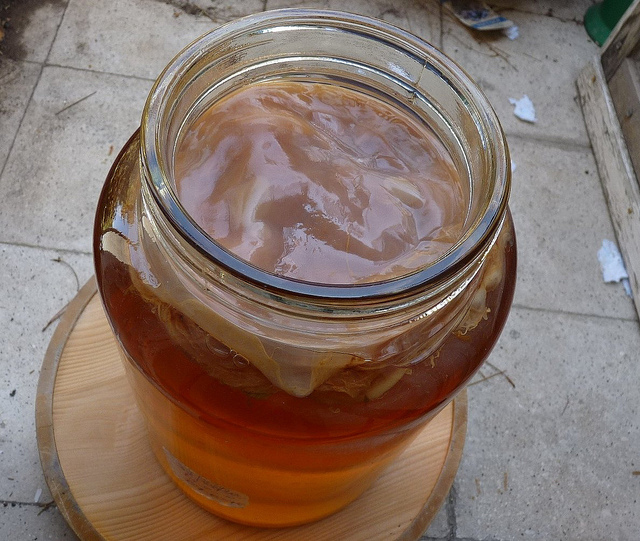 Our good friend Kombucha Dave has a fascinating article on his blog where he talks about why a SCOBY is sometimes mistakenly called a mushroom. He has kindly given us his permission to republish it here. Enjoy! Is Kombucha Really a Mushroom? One of the most frequently asked about Kombucha is, “Is kombucha really a mushroom?” It’s because most people call it Kombucha mushroom. Some people call it Kombucha SCOBY. But kombucha mushroom is the most common. So, is it really a mushroom? No it is not, maybe at most it could be called fungie, or a type of fungi. I’m a type of fun guy, but again you can call it a Kombucha mushroom, we refer to it sometimes on our site as mushroom tea, mainly because that’s how other people refer to it. So if you’re at a party and someone says, “oh this kombucha mushroom tea is awesome”. Don’t take the bottle and spill it on them and say it’s not really a mushroom, but let’s talk about how it got it’s name then. How did Kombucha turn into mushroom? Well the theory is, the story goes like this, in Japan, they were brewing something with seaweed and ‘Kombu’ actually means seaweed in Japan and ‘cha’ means tea. So it was originally called seaweed tea, and they were using seaweed, it wasn’t Kombucha, but a culture came about. Something to keep in mind, there’s lots of things to ferment that will form a culture, but not necessarily makes it Kombucha, make sense? 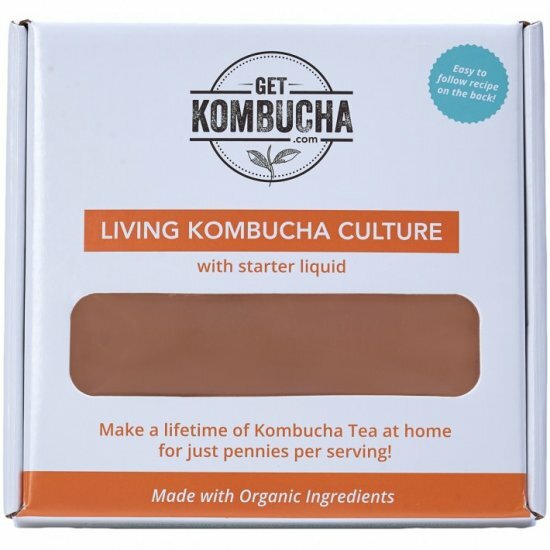 A mother vinegar forms a culture, you have sour dough starters, wine uses cultures and things like that, so eventually what happened is that at the same time, people were also doing Kombucha tea. They saw the culture, so I’m looking at the seaweed culture we called Kombucha and I’m looking at this Kombucha culture and I’m just going to label it Kombucha, so there you go. In addition to that, to make things even more confusing, if you ever look at a Kombucha SCOBY or a Kombucha culture, I kind of think it does look like a cap of let’s say a portobello mushroom, so again hopefully that answers your question, is Kombucha a mushroom. Also, I’d like to think that it is called kombucha mushroom because it looks like a mushroom and the texture is similar to a mushroom’s texture. Legal Disclaimer Information about the health benefits of kombucha is for educational purposes only. These statements have not been evaluated by the FDA. This information is not medical advice, nor is it intended to replace the advice or attention of a qualified health-care professional. 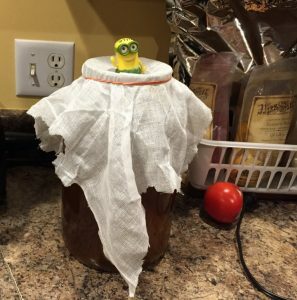 This entry was posted in Fermentation and tagged fermentation, fermenting, kombucha, SCOBY on October 1, 2015 by Homesteader's Supply.